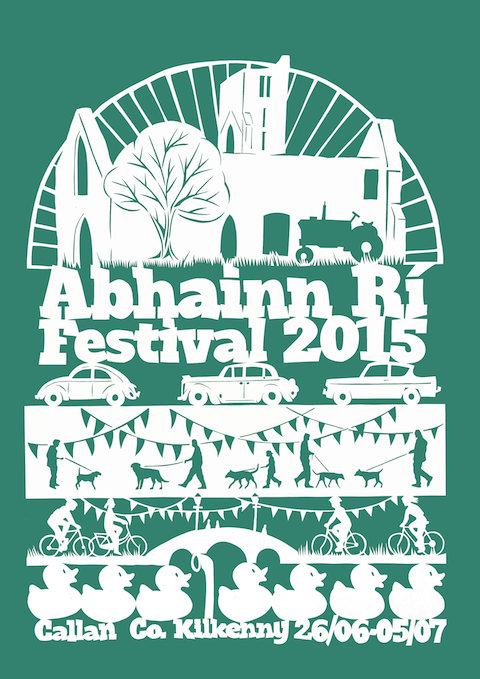 My papercut design for the Abhainn Rí Festival 2015 in Callan, Co. Kilkenny. The Pattern Exchange is an exhibition, guest curated by Rosie Lynch and Hollie Kearns, which presents existing work from Irish artists Sarah Browne, Gareth Kennedy, Sarah Lincoln and Fiona McDonald, with new commissions by Paul Bokslag (IE/NL) and architecture practice Studio Weave (UK). Taking pattern as a point of departure, the exhibition explores patterns of knowledge, material production, labour, and patterns of movement and change within urban and natural landscapes. 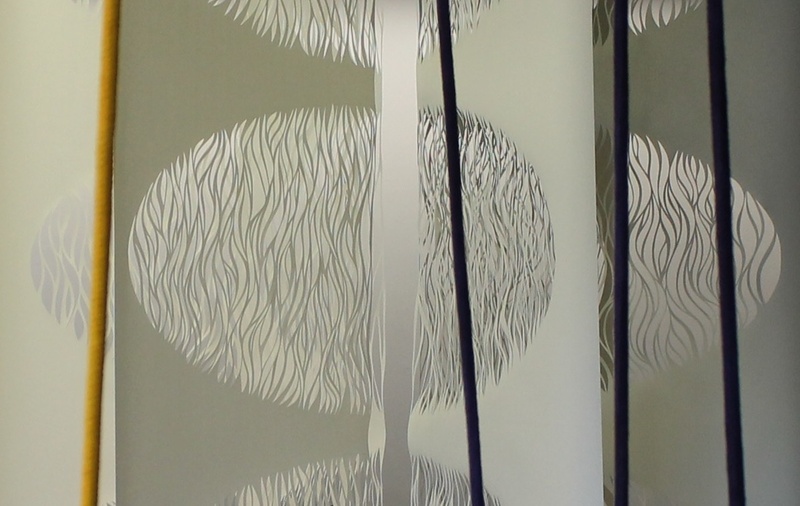 I have installed a large scale paper cut for The Pattern Exchange and also developed the display font for this exhibition. 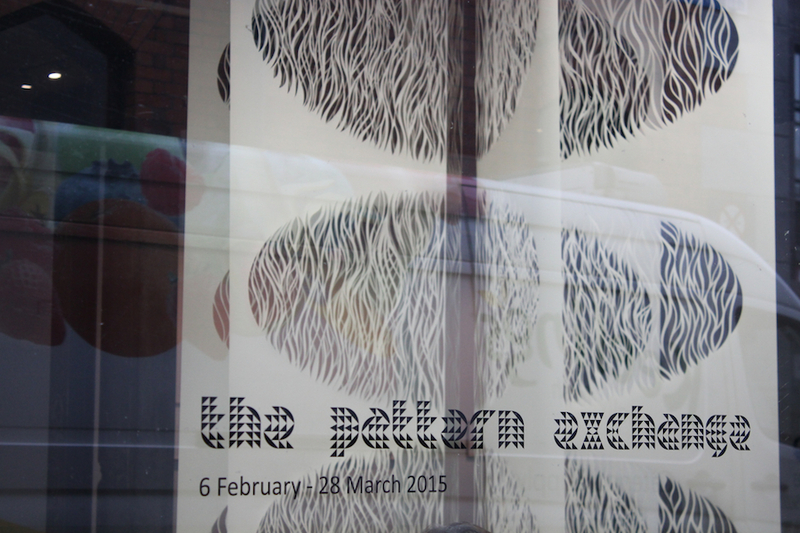 The Pattern Exchange font can be downloaded for free from the Temple Bar Gallery + Studios website. 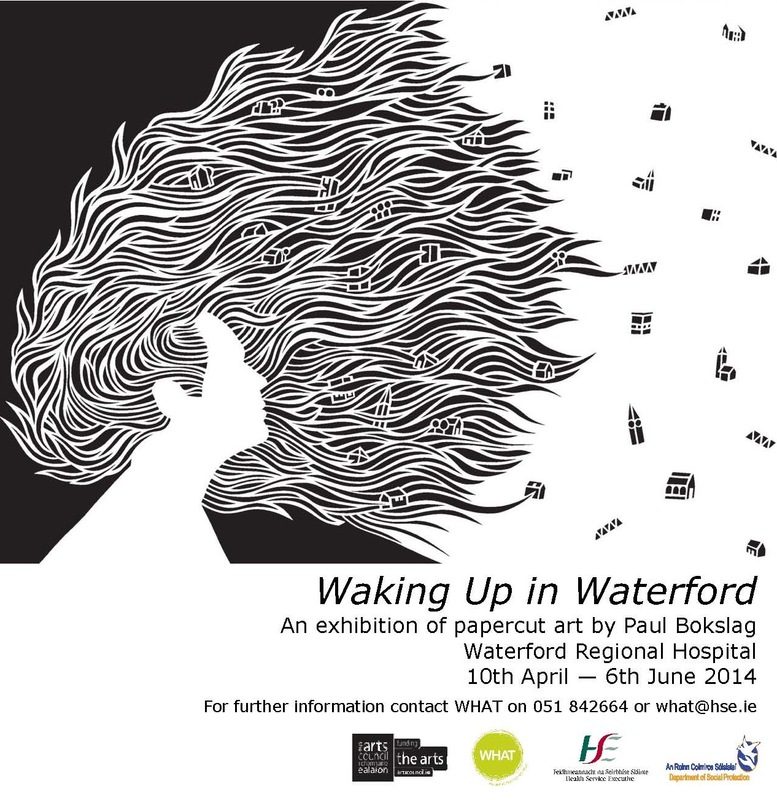 Time for the annual Ballytobin Open Day and time for another paper cut poster. 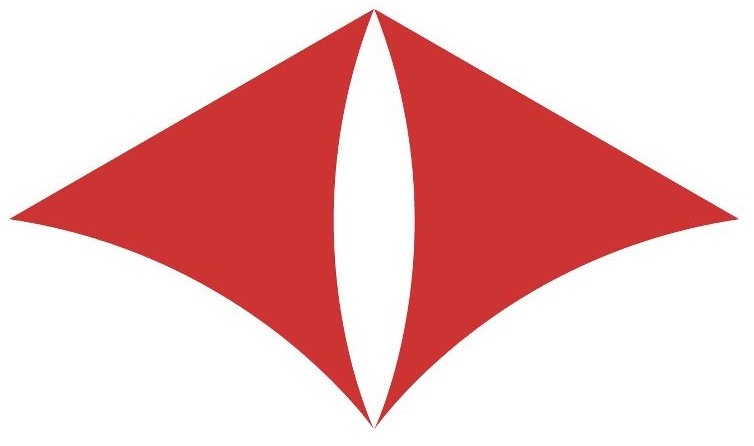 About fifteen years ago I designed a logo for an initiative group wanting to start a hospice in Leiden, the Netherlands. Now, celebrating its tenth birthday, Hospice Issoria moves to a bigger home at Burggravenlaan 11. I am delighted that as part of this I was asked to exhibit a number of papercuts. 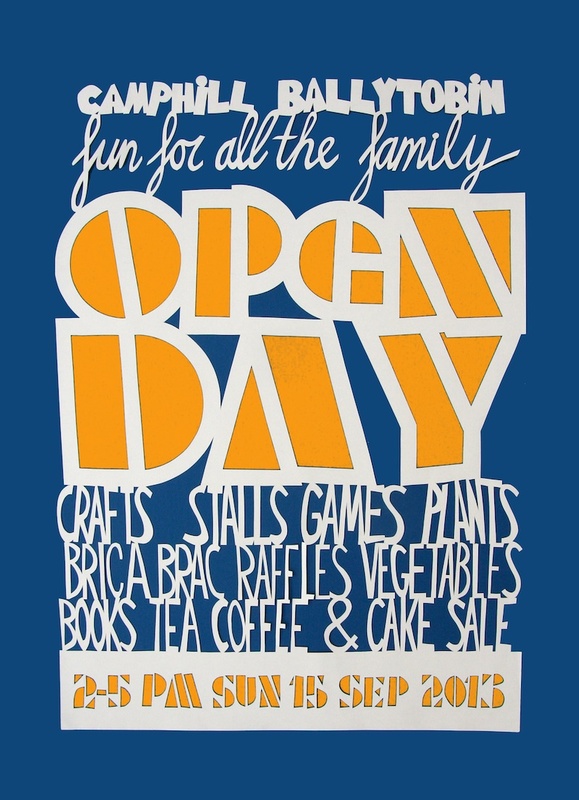 The exhibition can be viewed during the Open Day on Saturday 21st September from 11.00 – 16.00. The Full Circle exhibition at the Watergate Theatre Upstairs Gallery has been extended until 28th December 2012!